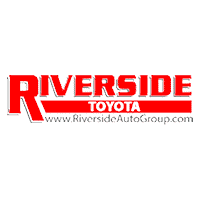 Upgrade from a sedan to one of the crossovers, SUVs, and trucks on sale near Calhoun at Riverside Toyota. There are plenty of options from which to choose, from the new Toyota Tacoma to the used Toyota 4Runner. Pick out your favorites, and then contact the dealership to schedule a test drive! No matter which you select, you’ll have the team at Riverside Toyota here to help with financing and service down the line!